“Party of Blue” was inspired by dives in Western Australia’s beautiful Ningaloo Reef. 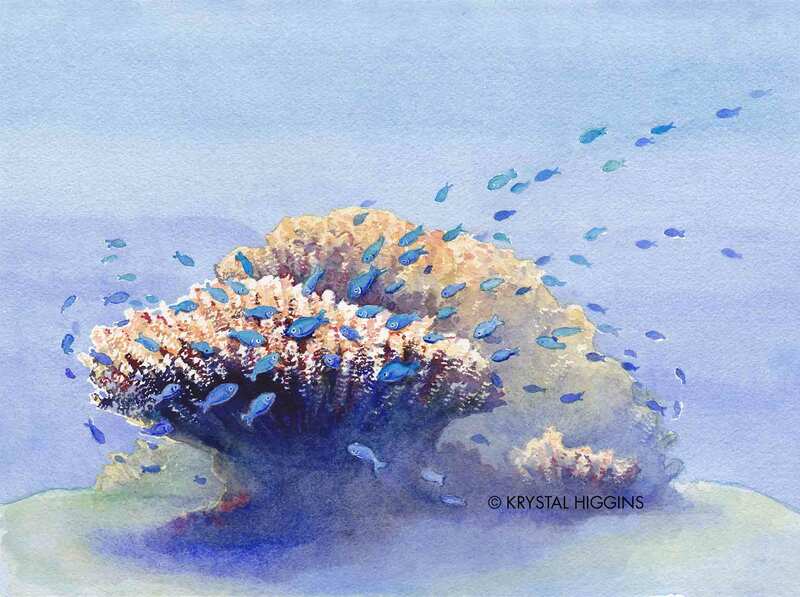 It depicts a cascade of blue reef fish darting around a patch of staghorn coral. This is a lovely piece with dynamic motion, evocative colors, and energetic textures. Painted on Arches 140lb Coldpress with Winsor & Newton paints. Watermarks are not present on the actual artwork or on prints.